As hair experts we’re sure you’re aware of the tell-tell signs of ageing hair, so let us share with you these solutions to help your clients achieve youthful-looking hair for longer. We caught up with ghd’s chief technology officer Dr Tim Moore to find out what causes hair to age. He told us that ageing hair doesn’t just correlate to the numbers of candles on our birthday cake but that the weather, colour processes and sun exposure can all encourage hair to age at a faster rate. The signs your clients should look out for are that their hair is becoming dull, brittle, coarse or thin. He adds: “As hair gets old strands become smaller, weaker and have less pigment”. 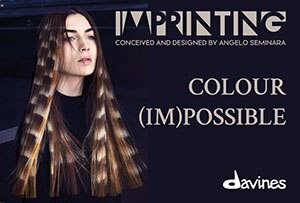 Just like skin, hair needs protection from harmful UV rays which burn the inside and outside layer of the hair follicle. Zoe Irwin suggests trying ghd’s heat protect spray with additional UV protection to avoid brittle, lifeless ends. Dr Tim adds that continued exposure to the sun can lead to a depletion in the volume of hair too. Who knew? Adam tells us that flat, limp hair is actually an instant ager! He suggests creating hidden volume at the roots using ghd’s contour which will crimp the hair giving it a volumised effect and looking both healthier and younger in one! As we age our scalps produce less hydrating lipids, aka our hair becomes drier and more frizz-prone. 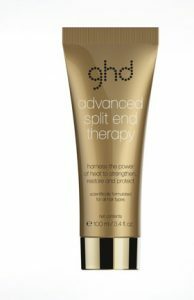 Zoe suggests investing in ghd’s advanced split end therapy which helps bind broken fibres and strengthen damage hair. 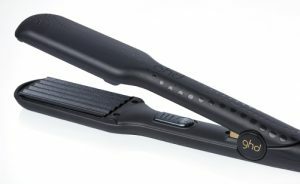 ghd recommend using it every five washes as a replacement for your client’s usual conditioner. There you have it, the in-and-outs of split ends. Though, we have one final top-tip to share with you from Zoe: massaging your scalp for 10 minutes a day increases blood flow to the hair for thicker, healthier, longer, hair. Nice!